Martindale-Hubbel AV rated. Selected for inclusion in the, The Best Lawyers in America. Named a "SuperLawyer" in the area of construction litigation, (New York Super Lawyers/Metro Edition). ** In February 1990, he was appointed by the Mayor of the City of New York to be Chair of the New York City Procurement Policy Board, and actively served in that capacity for four years. The Board wrote and promulgated the body of rules that govern the purchase by City agencies of all goods, services, and construction. 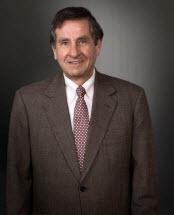 As its Chairman, Mr. Grubin was instrumental in, among other things, drafting the procedures by which construction and other disputes between contractors and the City are resolved. Honored by the Legal Aid Society, October 1, 2001. ** Prior results do not guarantee a similar outcome.